Tons of plastic waste wash up on the shores of the Galapagos islands where microparticles end up in the stomachs of species found only in the Pacific archipelago 1 000km west of mainland Ecuador. The tiny plastic pieces become part of the food chain "that we may later feed on", biologist Jennifer Suarez, a marine ecosystems expert with the Galapagos National Parks (PNG), told AFP. 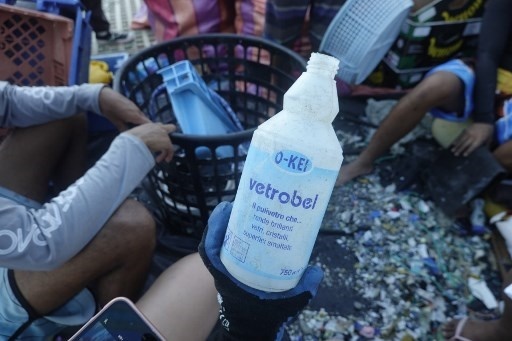 "More than 90% of the waste gathered doesn't come from Galapagos activities, but rather from South America, Central America and even a great deal of waste with Asian branding," said PNG director Jorge Carrion. With a population of around 25 000, the archipelago, a UNESCO World Heritage site, has tightened its rules regarding plastics use in recent years. That waste "probably comes from the fishing fleets from Asia just outside the Galapagos' exclusive economic area", said Carrion, speaking from the PNG dock in Puerto Ayora, the capital of Santa Cruz Island.